The HP Omen Obelisk Gaming PC is one of the most reliable gaming PCs on the market, showcasing the critical components of a gaming PC build. HP emphasized the Omen’s powerful components while downplaying the unimportant frills that bog down most prebuilt gaming PCs that we have today. The HP Omen Obelisk is a midrange gaming PC, categorized between the Pavilion and the Omen X. Although it’s more powerful than a gaming console, it has a plug-and-play feel and is designed to be used by more casual gamers. The Obelisk has a sleek and compact design, and it is ray-tracing-ready and VR-capable. The Obelisk is equipped with 32GB DDR4. Its MOBO has a total of two DIMMs that can support 16GB module each for a total of 32GB as the ceiling for memory expansion. The Omen is packed with a 512GB SSD and a 2TB HDD. The gaming PC can handle 1440p gaming with ease. The starting model is loaded with Nvidia GeForce RTX 2080 and a sturdy Core i7-8700 (or an AMD Ryzen 7), but other beefier units can pack a Core i9-9900K. The Obelisk has a total score of 1385 on Cinebench. Running Battlefield I and Civilization VI, the gaming PC delivered over 60 FPS in all game settings, as well as in 4K resolution. Overall, the gaming PC is handy and can easily deal with most of the requirements of contemporary PC games, while still remaining affordable. The Omen has a matte black case. You can personalize the casing with a customizable RB lighting and an optional transparent side panel. The Obelisk tower is 6.5 x 14.1 x 17 inches in dimension, which makes it fairly compact, considering that it’s packed with gaming power. The best part is the Obelisk is equipped with enough internal space that supports future upgrades. You can also easily remove the side panels without using any tools, enabling easy maintenance and upgrades. Overall, the gaming PC has an understated and functional look. The Omen Obelisk is HP’s response to the weaknesses of the Omen 870, making it easier to use. For instance, unlike those of the Omen 870, the Omen Obelisk’s front USB ports are flipped, so they’re facing the user and not away from them. The cooler radiator vents out of the top panel, and it has a rear case fan. With a liquid cooler, the Obelisk can run efficiently. The PC can support the Omen Game stream, so you can use the Omen to play your games on another PC and other Android devices. With this, you can play on another Windows system, while streaming off a more powerful Omen system over the Internet. 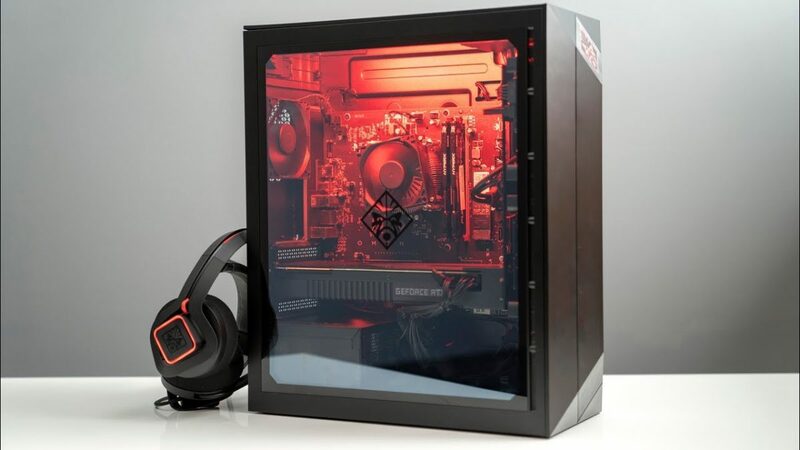 Although the Obelisk may not appeal to those who want a flashier PC, its understated aesthetics, gaming power, and modest price compare well to PCs with almost the same specs but may cost hundreds more. That said, if you’re planning to sell your used laptop to buy a functional prebuilt gaming and office PC that packs enough power, the Omen Obelisk is a practical choice.